No matter what your age or shape, you should exercise regularly to stay healthy. 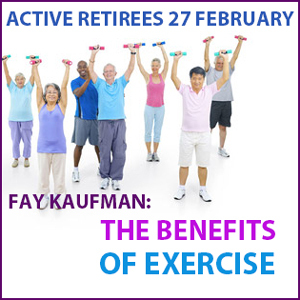 Please join us to learn more about the incredible benefits of exercise. Our presenter is Fay Kaufman.